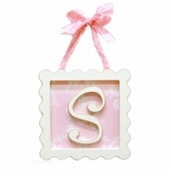 Spell out a name or a favorite phrase with our best selling Hanging Wooden Letters. Hand painted antique white and slightly distressed edges. 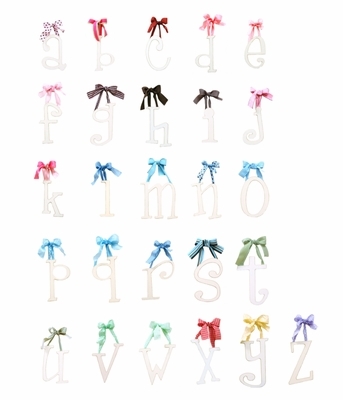 Our hanging wooden letters are perfect for the nursery, or kids room. Wall letters are approximately 9" tall, 13" tall with ribbon. Note: Letters are custom made for you, please allow an extra 1-2 weeks for delivery.